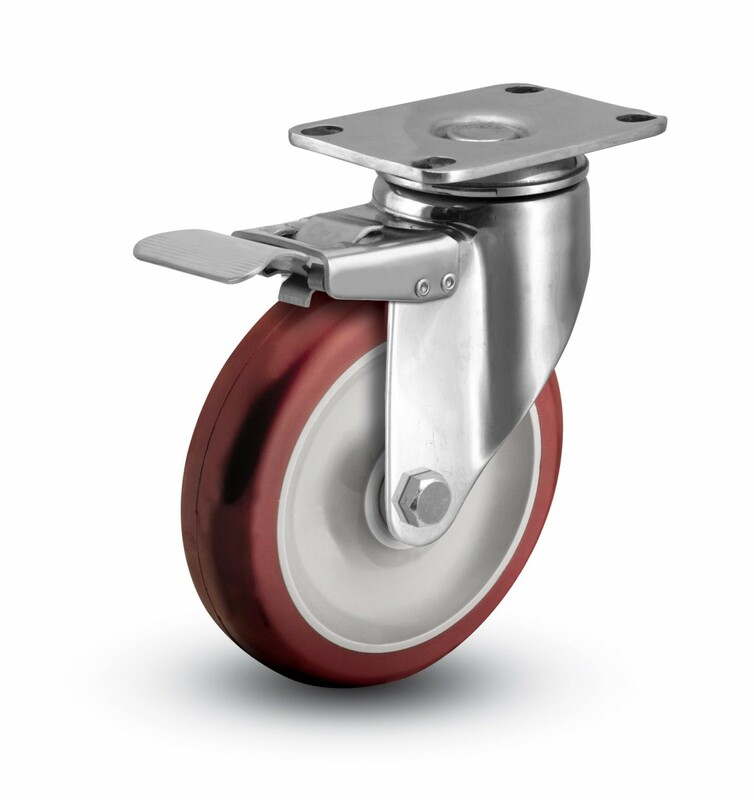 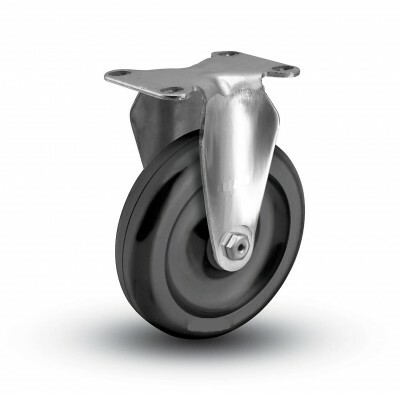 Stainless steel casters and wheels with stainless steel bearings are ideal for wet and corrosive environments. Both swivel stainless steel casters and rigid stainless steel casters are available. Often stainless steel casters are used in meat packaging plants, food processing facilities, laboratories, pharmaceutical, hospitals, and near magnetic resonance imaging (MRI) equipment. 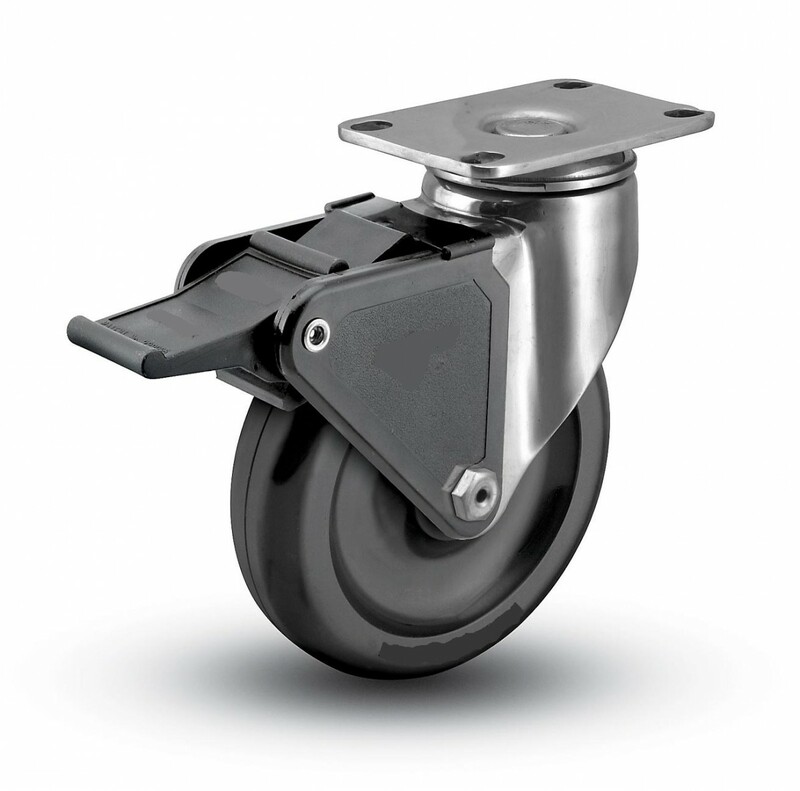 When choosing a stainless steel caster, it is important to also consider the bearing inside the wheel. This bearing can rust and cause the stainless steel caster to operate poorly. 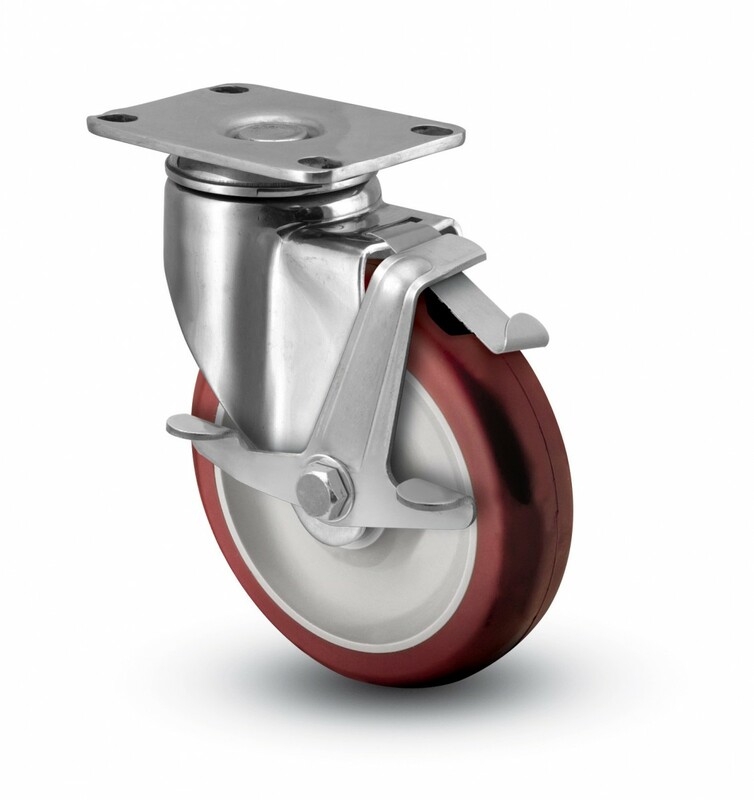 For wet and corrosive environments, a Delrin® bearing (a type of plastic) or a stainless steel bearing will keep the stainless steel caster operating nicely. 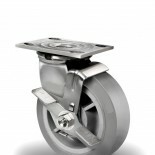 However, if the stainless steel caster will be subjected to high-temperatures, the Delrin® bearing may melt. 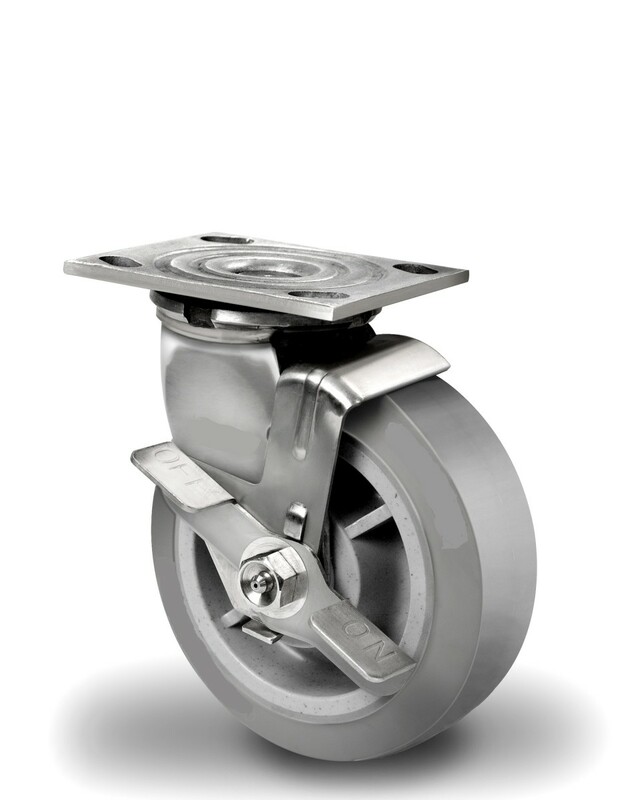 For environments that are wet or corrosive, and that have exposure to a high-temperature, a stainless steel bearing is the best choice. 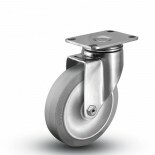 Similarly, the wheel materials must be considered for your stainless steel caster application. 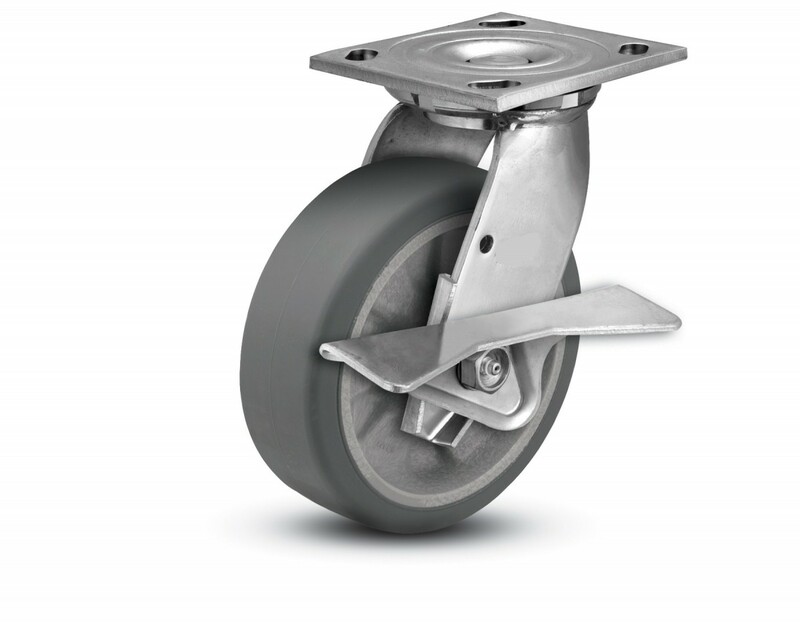 Some wheels provide a quieter, smoother ride but cannot withstand high temperatures. Other wheels are better suited to outdoor use. 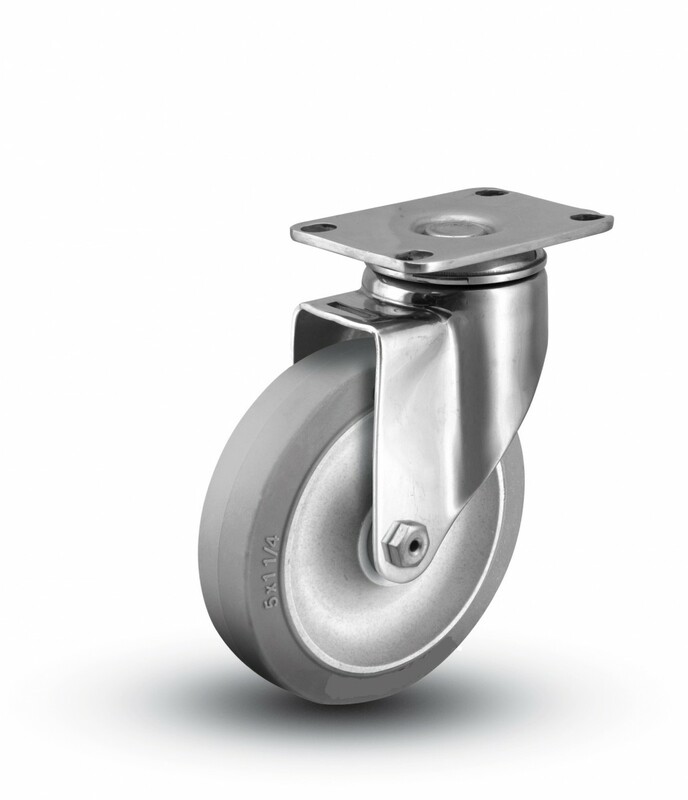 If you are uncertain which wheel would work best with your stainless steel caster, our friendly experts would be glad to help you. Please call our team at 1-800-733-4758 and we will keep you rolling!